Just a quick reminder the next class is April 21. Please let us know asap if you are unable to attend. Topics and what to bring information are on the Home page as always. Something to think about: a shoka seen from the front looks like one stem at the bottom. From the side view we see the fan. 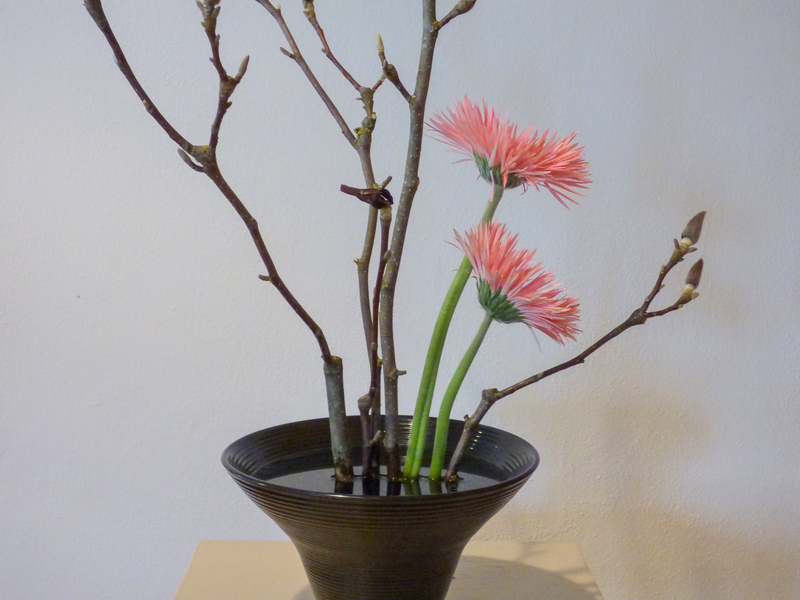 This entry was posted in Ikebana. Bookmark the permalink.